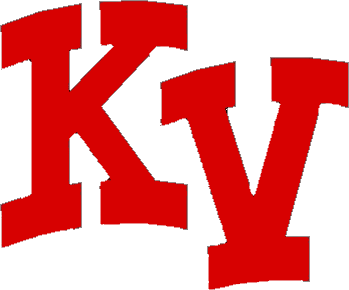 Despite a 50-82 loss on Tuesday to Munster , the Kankakee Valley (KV) Lady Kougars had one of their best overall meets in recent years. They are now 2-1 overall on the season and 0-1 in Northwest Crossroads Conference (NCC) action. Junior hurdler Megan Nannenga was AWESOME in both hurdles! “Megs” dominated both events, winning the 100 hurdles in 17.39 (fully automated timing-FAT), and ran a blistering time of 52.37 to win the 300 hurdles. Her 300’s time is a new personal record (PR) and should be among the area’s top times. Classmate Kailee Tuesburg also had a fine meet: winning the pole vault in a PR tying jump of 9-0 and blasting a terrific lead off leg for the 4×100 (52.37) relay winners. Both performances should be among the area’s bests. Joining her on this relay was Court Sizemore, Sarah Martin and Cat Cavinder. Cavinder took home another 800 win in 2:30.33, anchored the aforementioned 4×100 relay winners and also anchored the 4×400 relay winners who won big in 4:26.55, a season-best (SB) time. Sizemore ran a terrific 100 meter dash, closing fast to win in a swift time of 13.24. Martin also ran a strong leg on the 4×400 winner as did freshman Elise Kasper. Kasper ran a tough 65.02 400, a SB for Kasper, good for 2nd. Classmate Tay Schoonveld continued her outstanding season! She set the tone for the 4×400 relay winners with a phenomenal lead-off split time of 62.0, giving her teammates a huge lead that they kept. She took a solid 2nd in the 100 hurdles and 3rd in the 200. It was the high jump where she really shined again, leaping a PR 5-3 to take 2nd in the hotly contested event, her excellent jump being among the area’s and school’s bests. Despite feeling ill, sophomore Maddy Friant had an excellent shot put event, throwing an outstanding PR toss of 32-1/2, good for 3rd at this meet, but a distance that would usually win this event. A similar thing happened in the long jump with senior Tori Evert, who had a remarkable PR jump by 14 1/2 inches of 15-2 1/2 !! Evert took 3rd Tuesday, versus an excellent field of jumpers. Tay Miller ran a fine 3200 meter run, placing 3rd in 13:10.4 against Munster’s stellar distance crew. Madison Ward hustled home 3rd in the 300’s, in her first ever long hurdle race. KV had other fine PR’s and SB’s that bode well for the future, despite maybe not scoring Tuesday night. Their next meet is Saturday at Hobart, in the historic Little 5 Meet, Go Kougs!